Attorney Smith is a proud graduate of the Dartmouth Public School system. After graduating from Dartmouth High School, she attended and graduated from Providence College. After gaining professional work experience as a paralegal in a Boston law firm, Attorney Smith returned to school to study law at New England Law – Boston (formerly known as New England School of Law). After graduation from law school in 1996, Attorney Smith spent six years practicing law in New Bedford with her father Richard before he was appointed as an Associate Justice of the Massachusetts Superior Court. After graduation from law school in 1996, Attorney Smith spent six years practicing law in New Bedford with her father Richard before he was appointed as an Associate Justice of the Massachusetts Superior Court. Attorney Smith is a founding partner of Moses Smith & Markey, LLC. In June of 2009, Attorney Smith was appointed as a Bristol County Public Administrator by Governor Deval Patrick. Attorney Smith also serves as the Treasurer of the New Bedford Bar Association and was recently named to the Board of Directors of the Bristol County Bar Association. In addition to her work at Moses Smith & Markey, Attorney Smith is active in the community. She recently completed a three year term on the Town of Dartmouth Zoning Board of Appeals, during which she served for two years as the Chairperson. For more than a decade, Attorney Smith has served as a member of the Russells Mills Historic District Commission. These experiences have further developed Attorney Smith’s mastery of the law in the areas of municipal practice, land use, and development. 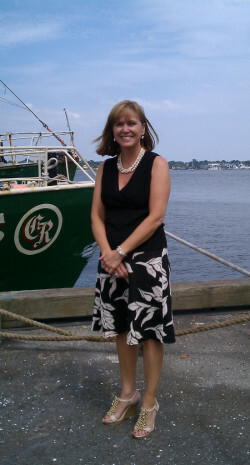 Attorney Smith is also an active volunteer in the youth sports programs in Dartmouth. She serves as the Treasurer of Dartmouth Youth Lacrosse Program and as a coach for the Dartmouth Youth Soccer Association. Attorney Smith and her family also open their home yearly to host a child from the Fresh Air Fund during the summer.